Branding. It's the buzz word of the marketing world. At the heart of branding is the desire that your product and company become the identity of a category of products; you become the name that is associated with a product line. Your desire is to be the trendsetter, the authority, the chased. The basis of good branding is innovation and consistency. We make sure there is a consistency in presentation, no matter what the platform. 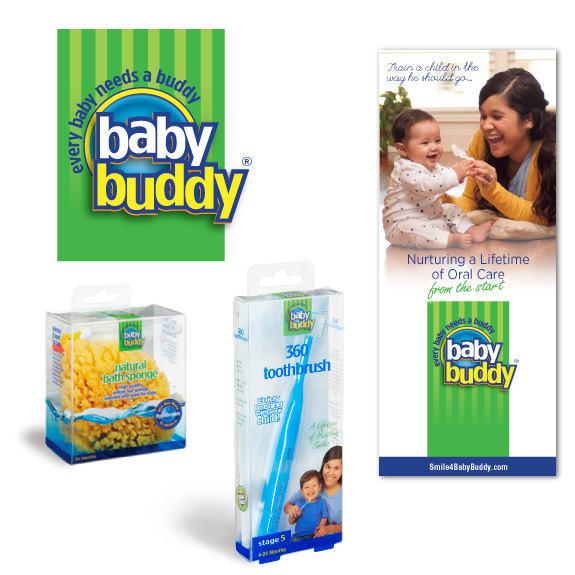 Baby Buddy is a brand of products that addresses a variety of baby needs. Branding began with the logo that was designed to portray a modern and playful feel. It continues with packaging in clear boxes that showcase and portry the products in a classy and fun way. Steel Shield Technologies separates itself from other oil additive companies in that its products treat metal surfaces (original and innovative ABF Technology) rather than the oil. 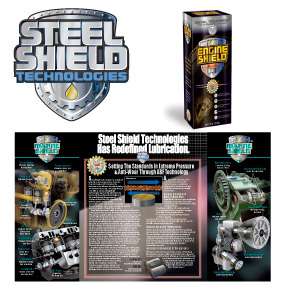 Branding for SST products concentrates on metal, both in imagery and printing materials. Brilliant is an innovative line of oral care products that addresses every need and stage of oral care from birth to elderly, from pre-teeth to specialty toothbrushes. 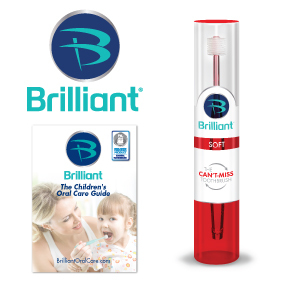 The heart of the product line are toothbrushes with 360° of bristles around the brush head.